Do you wanna look stylish and eye-catching? I’m sure you do! Then continue reading this article cause we have some cool ideas for you. We always create looks with checked or plaid skirts for fall, but what about summer? Summer is a best season to try something new and experiment with various prints, pieces of clothes and colors. So how about to try to make summer outfits with checked skirts? It’s easier than you think! You can choose any length of skirt you want – mini, midi, maxi – checked pattern looks perfect on all of them. Pick up light fabrics, cause you want to feel comfy in hot summer days, right? And of course, as always choose skirt type from A-line to pencil ones. 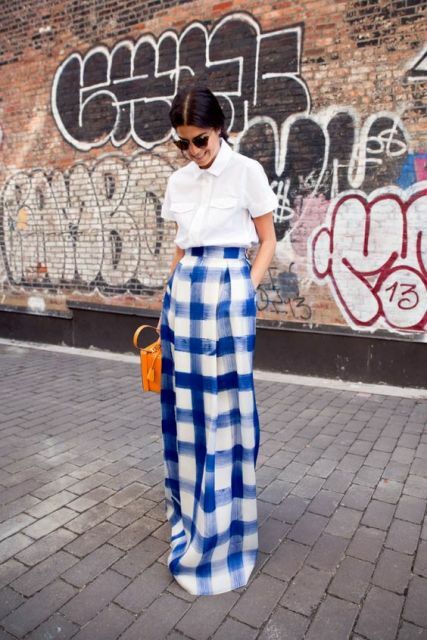 After that you can start to combine your favorite checked skirts with other clothes. 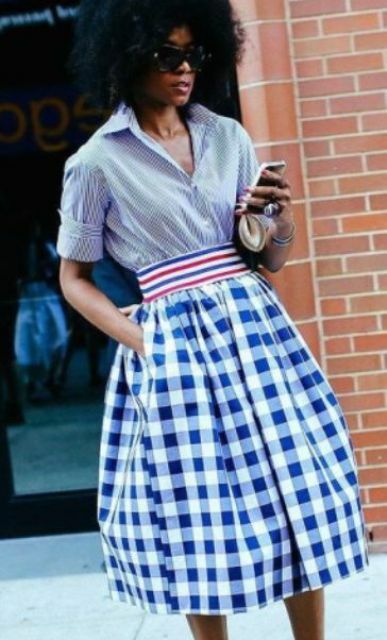 For casual looks you can pair your mini checked skirt with a loose t-shirt and flats or you can take classic white or blue button down shirt and tuck it into an A-line mini skirt. For other occasions you can take a funny t-shirt instead of a button down shirt and add heels to this look. If you aren’t ready for mixing various prints, choose monochrome shirts and blouses. For example, you can pair an A-line midi skirt with a black or white crop top or off the shoulder blouse and neutral shade shoes. If you’re going to vacation, you can take an airy maxi checked skirt and combine it with a top, lace up sandals and a wide brim hat. Or you can find a midi pencil skirt with checked pattern and pair it with a loose shirt and a straw hat. 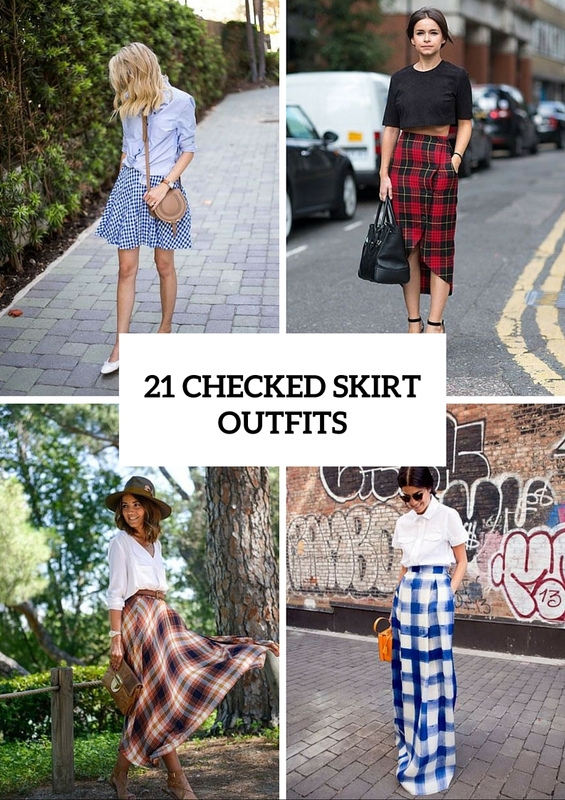 If you wanna find out more ideas of wearing a checked skirt, then scroll down. No doubt you will find something that is absolutely awesome for you! Be creative and enjoy.